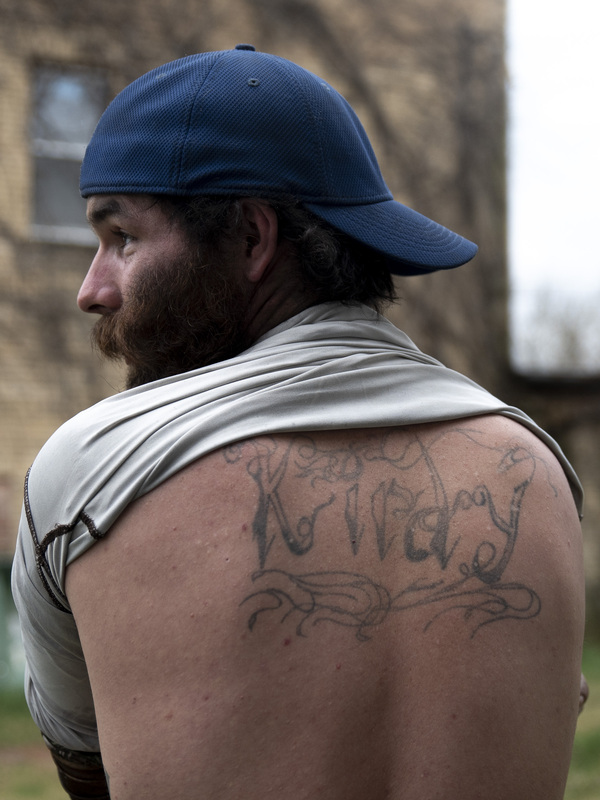 The journey of Calvin Kirby, founder of a sober encampment named Sobriety Point. Listen to how Calvin and Angel met. To tell the story of Sobriety Point, one must understand why its creator, Calvin Kirby, needed it in the first place. 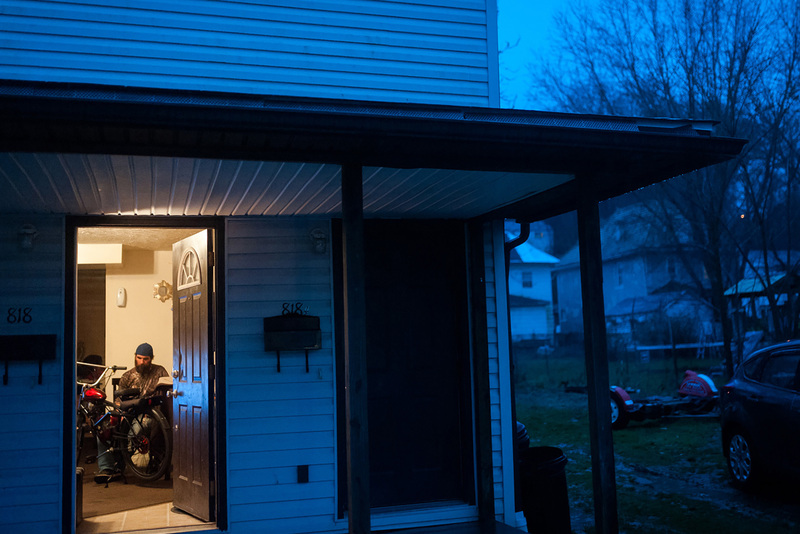 Calvin Kirby, a 34-year-old man from Gallipolis, Ohio, had a long history of run-ins with the law and a cycle of homelessness all stemming from his drug addictions. The creation of Sobriety Point was a healing and empowering change for him and others. Early in life, Calvin experienced instability and a series of traumas that later contributed to his drug addictions. His parents had separated early in his life and he lived with his mother. The family moved often, leaving him feeling isolated and lost. He began using drugs in order to deal with the pain of that isolation. After graduating from high school, Calvin moved to Huntington, West Virginia. 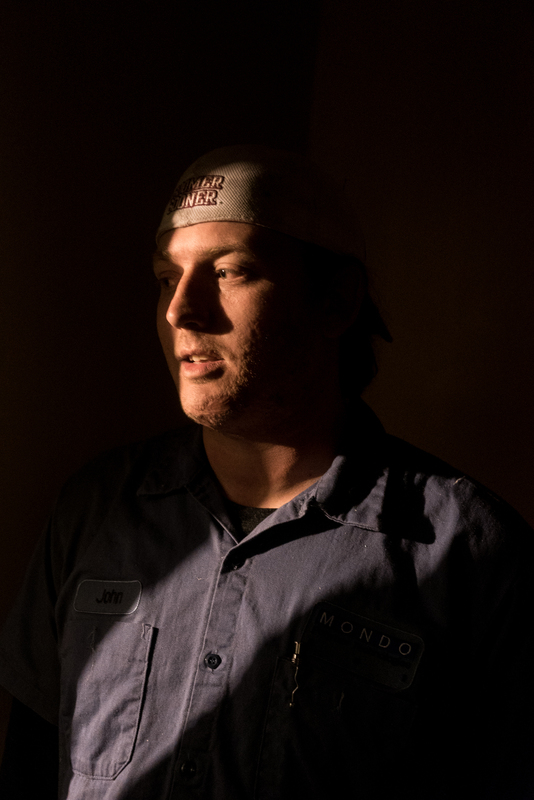 Between jobs, he began selling drugs in order to survive. Calvin speaks about bringing Angel to his level through using drugs together. In Calvin’s days of addiction, he received a tattoo with his last name spelled incorrectly. 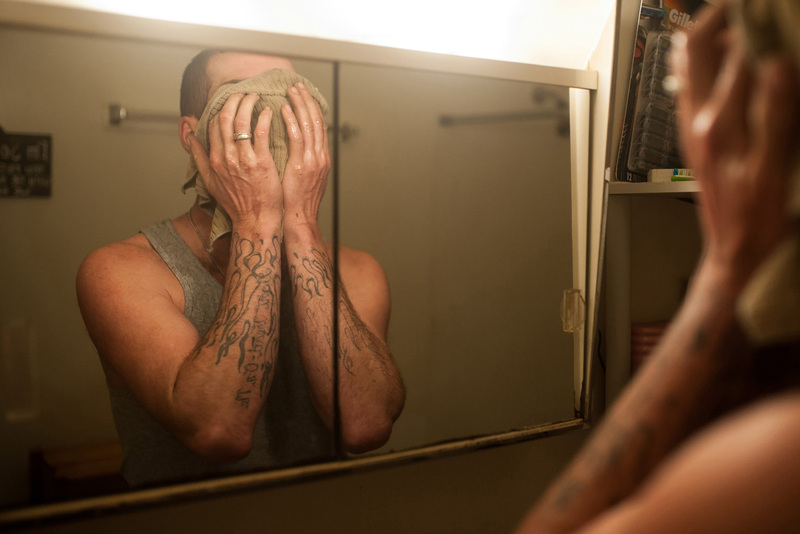 He plans to never cover it up because it serves as a reminder of what drugs can do to him. On January 15, 2012, Calvin met his future wife, Angel, in Point Pleasant, West Virginia. At the time Angel was in recovery. Shortly after, however, she relapsed. 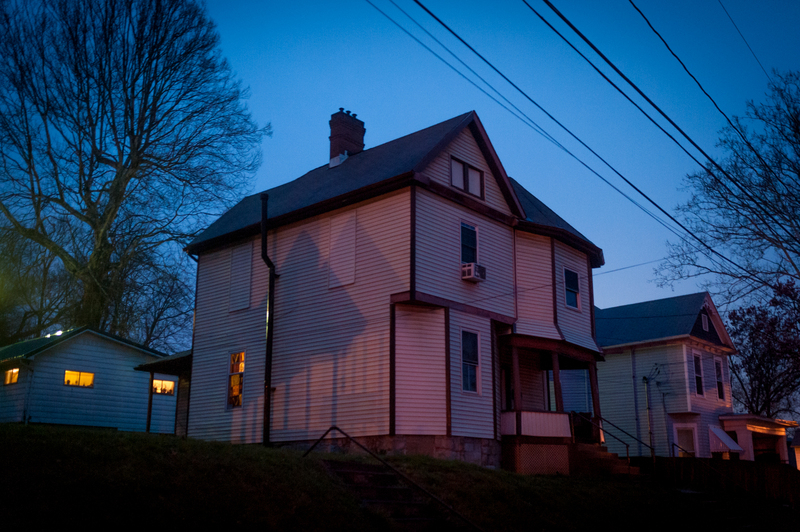 In 2014, they relocated to Parkersburg, West Virginia where they moved around from friend to friend, sleeping on couches. Calvin acknowledges he had a temper that made him unbearable for others to be around, and ultimately led him and Angel to homelessness. 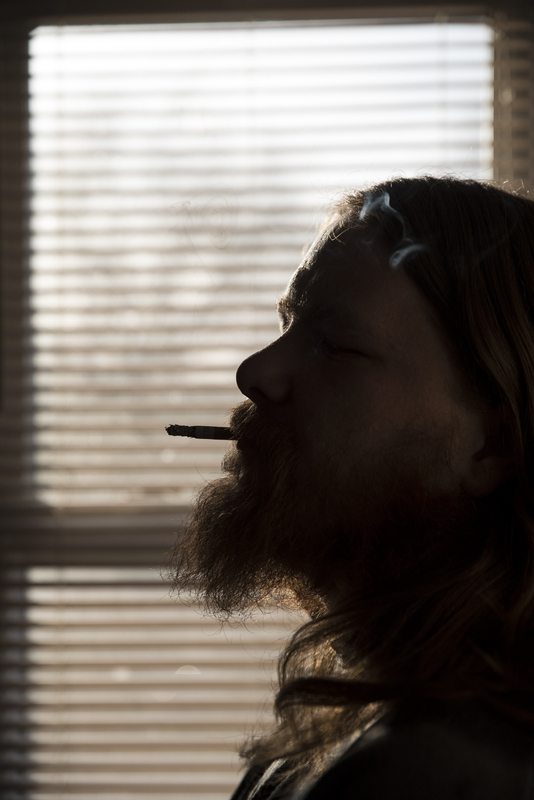 Following two drug-related arrests, Calvin was offered the option to enter a West Virginia drug court rather than spend time in jail. The need for a stable and sober living situation became apparent. His journey towards sobriety began on November 3, 2015. 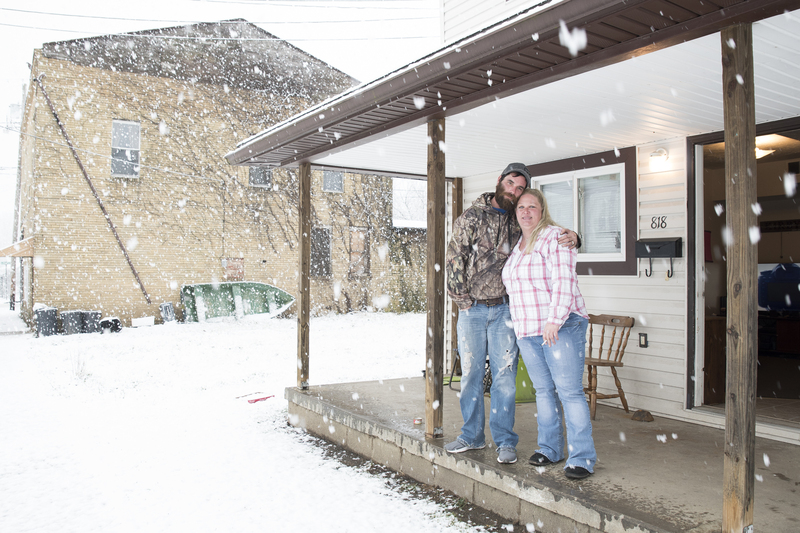 Calvin and Angel knew living on the streets in Parkersburg would not help them stay sober, so they found an unoccupied plot of land owned by the city. The location, tucked away between a bustling highway and a quiet creek of the Ohio River, offered Calvin and Angel refuge. alvin was a part of a methamphetamine production lab that eventually led to his arrest in 2015. The Parkersburg News Sentinel reported on the police operation, stating that, "Kirby was indicted on charges of conspiracy to operate or attempting to operate a clandestine drug laboratory and possession of a precursor to manufacture methamphetamine." The arrest was a catalyst in the eventual creation of their sober encampment. Calvin's thoughts about Sobriety Point. riving westbound on U.S. Route 50 into Parkersburg, the only indication the encampment is there are the chimneys of the wood-burning stoves that peak over the roadside railing. Blink, and you'll miss it. Sobriety Point is the land Calvin and Angel found together on which they created a quiet sanctuary. 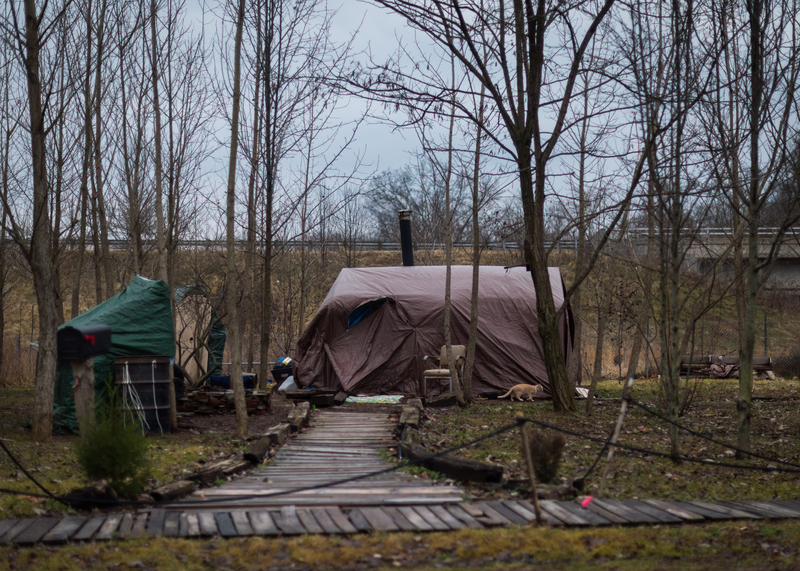 Removed from other homeless camps that donʼt often encourage a sober living environment, they began a place where they and other residents can focus on staying clean. 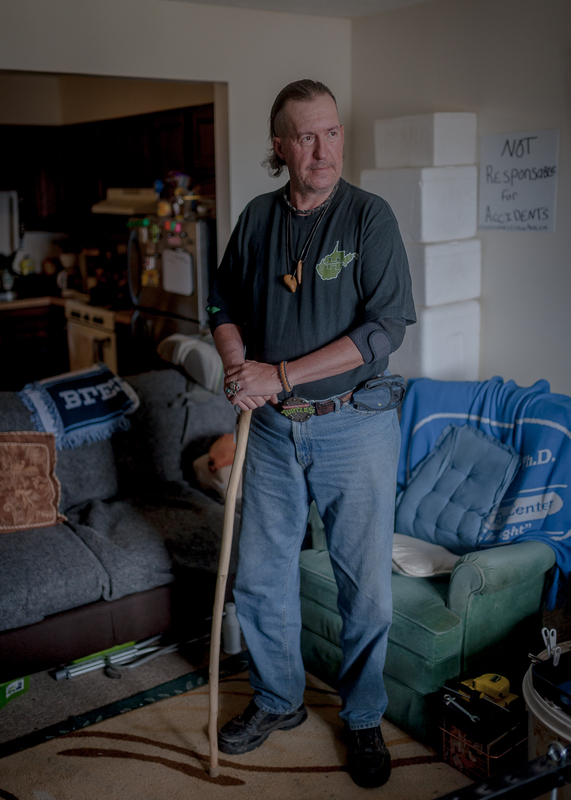 Calvin and Angel now live in a home and have full-time jobs, and the camp remains a place for those willing to live a sober life. Visit the encampment using 360 video and explore the structures of Sobriety Point. You can use your mouse or arrow keys to navigate. You're going to burn all your bridges and you'll end up in a place like Sobriety Point." 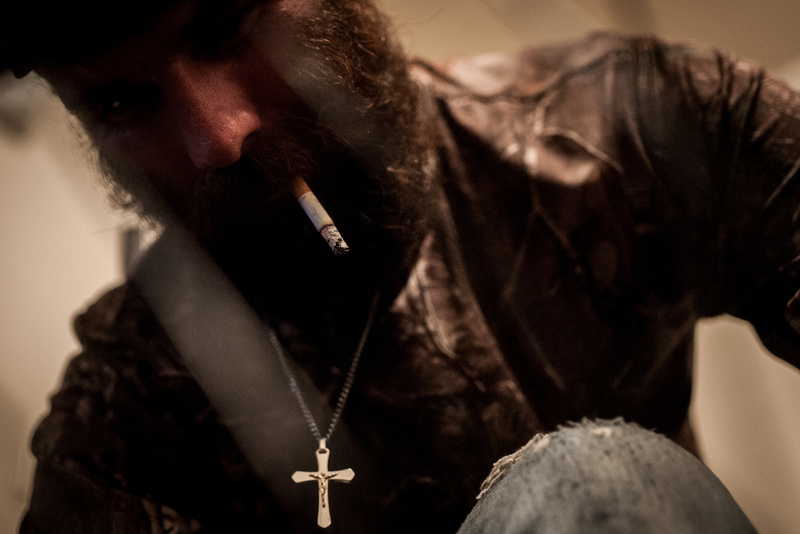 Listen to the cycle of addiction and homelessness. He [Calvin] helped a lot of people down there." Listen to John talk about Calvin’s leadership. 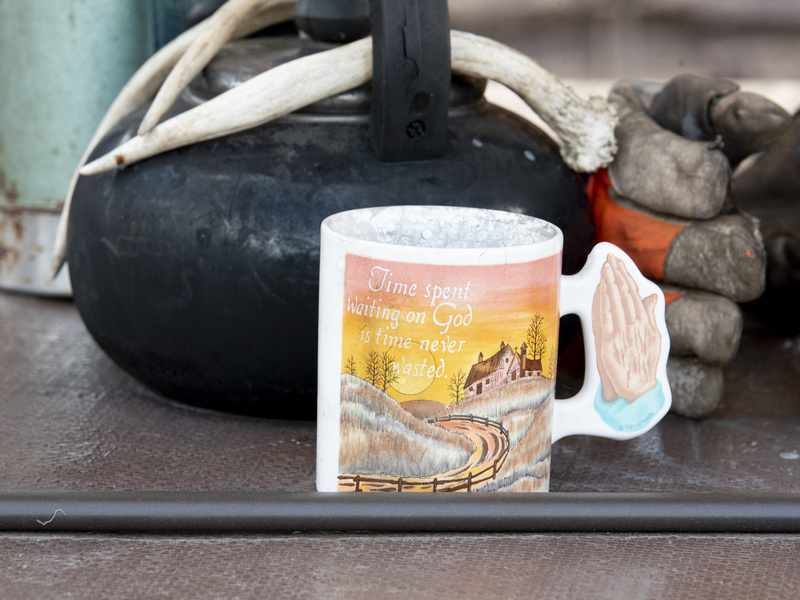 This mug was one of the many religious emblems left behind at Sobriety Point. A belief in a higher power has been the point of strength for Calvin and Angel on their path to sobriety. Listen to Calvin's thoughts on a higher power. he river in Parkersburg, WV crested at 39.71 feet, leaving Sobriety Point completely under water on February 18, 2018. Local church groups later arrived to help tear down the old structures and prepare for a new beginning. Those living on the banks of the Ohio River in the Parkersburg area are not strangers to flooding and the damages caused by it. 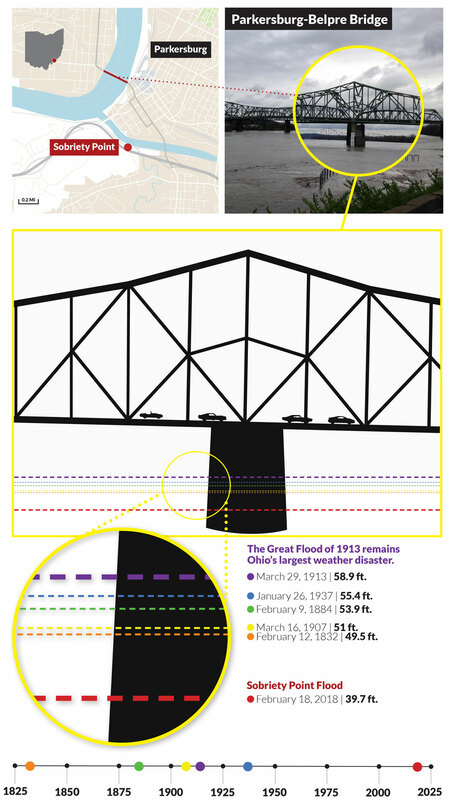 On February 18, 2018, Sobriety Point was quickly submerged under water when the river crested at 39.71 feet, following several days of heavy rains. The National Weather Service reported the event as a historic crest for the region, joining a list of 72 others recorded since 1832. Listen to John talk about being inspired by the camp. 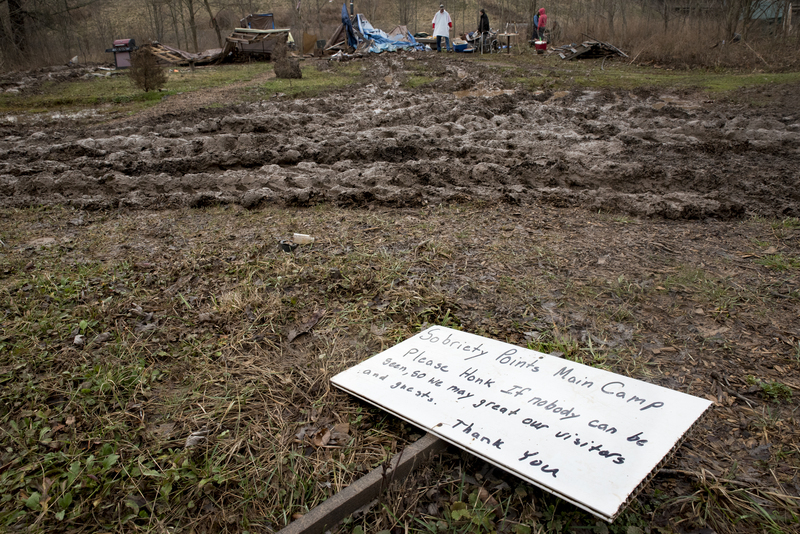 Volunteers and camp residents work on tearing down the camp following the flood. Listen to Calvin speak about the changes in the camp's atmosphere. Calvin works on building custom bikes in his home and reflects on enjoying the small things in the world. Calvin tunes up his motorized bicycle in his living room on Thursday, March 29, 2018. 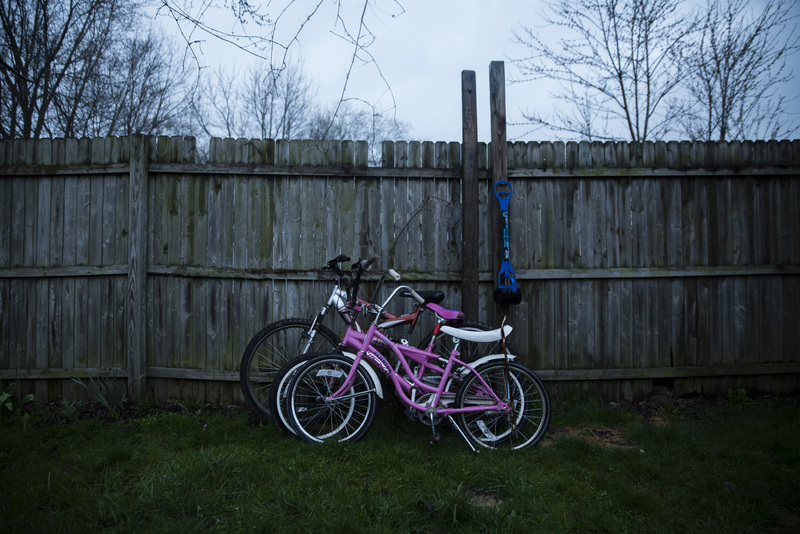 Bicycles rest against a fence in the backyard of Calvin and Angel's home. As dusk approaches, Calvin moves his bicycle inside to clean and tune up in order to sell to make some cash to keep him afloat until he is able to get another job. Calvin looks at his wife, Angel, as she shaves his head and beard in their kitchen on April 2, 2018. Calvin puts a cold rag to his face after having his annual hair cut and beard shaved by Angel. 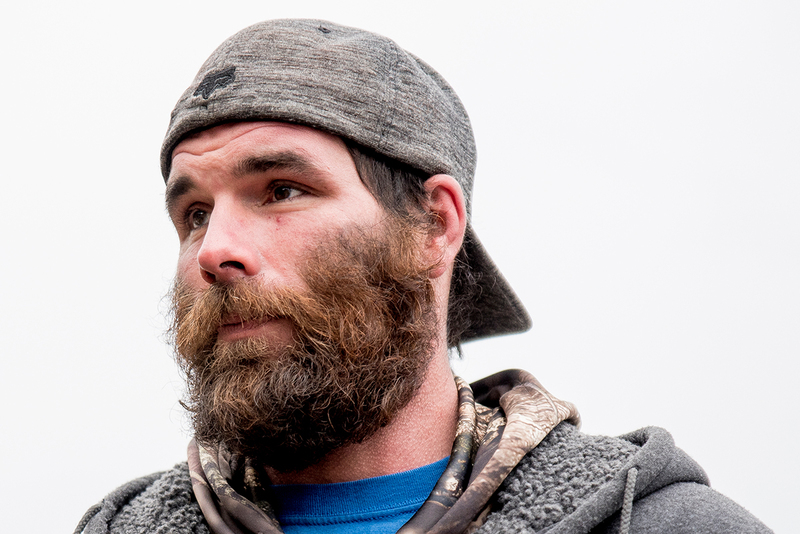 In March 2018 Calvin lost his full-time job due to an altercation with his boss. Calvin suffers from Post-Traumatic Stress Disorder (PTSD) related blackouts, which makes it difficult for him to maintain a demanding job. 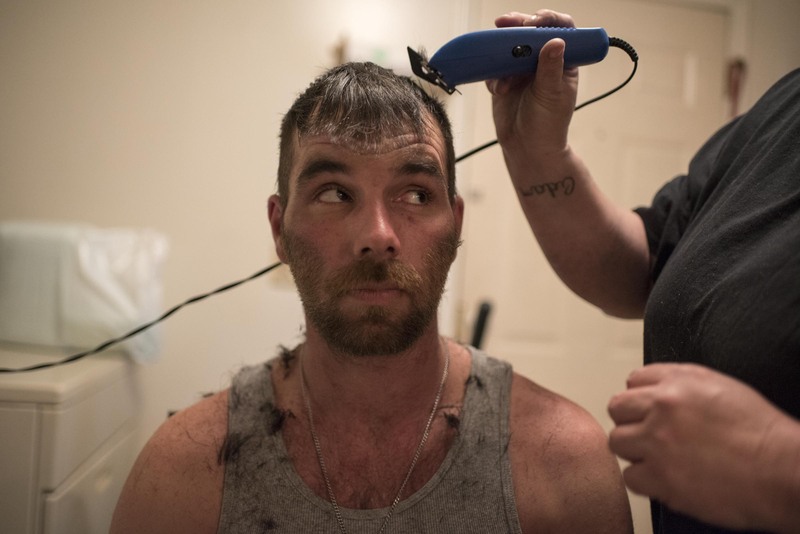 Looking forward, Calvin hopes to expand his side business, building custom motorized bicycles, so he can earn income while being able to manage his PTSD. 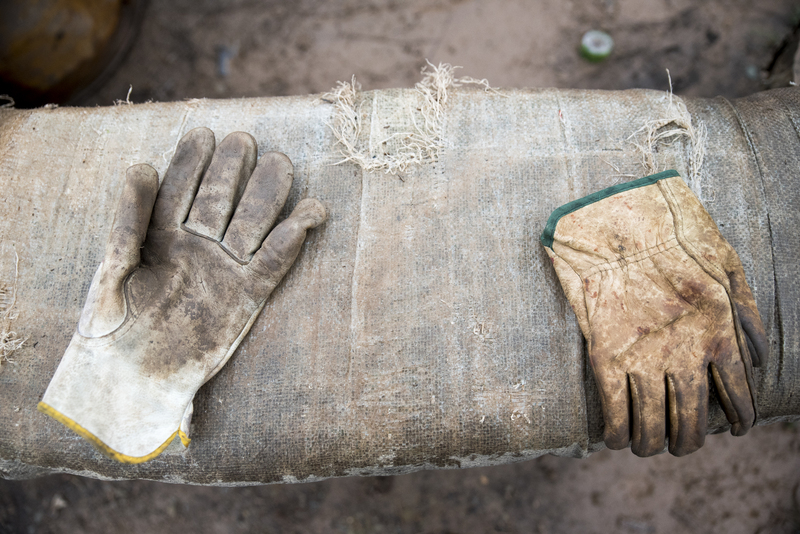 To supply the couple with a stable income, Angel continues to work at her full-time job. Listen to Angel reflect on sobriety and marriage. 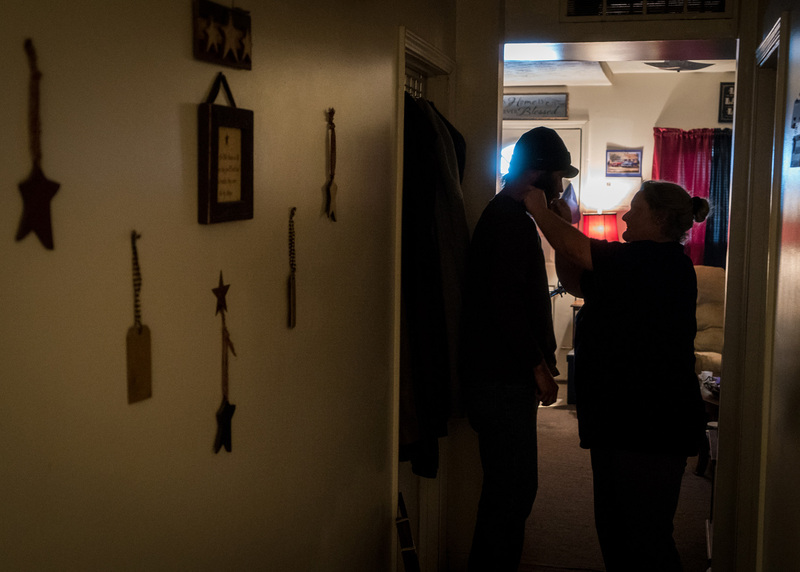 Calvin and Angel at their home in Parkersburg, West Virginia. They firmly believe that you cannot prosper while using.